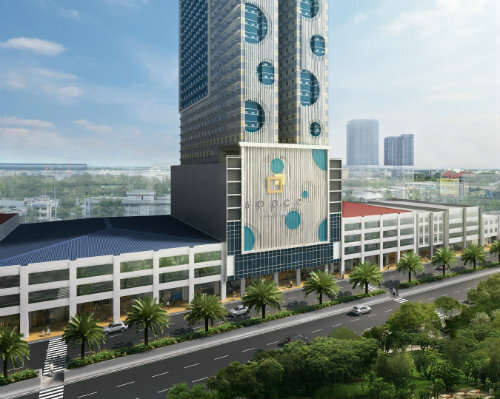 affordable condo in manila | Major Homes Inc.
Where were you when a major breakthrough in the real estate market was brought to life? Are you familiar with condormitels? Well, if not, you better get to know this promising investment that you can’t afford to miss. Condominium + Dormitory + Hotel all in one package, sounds fairly tempting right? It’s more than just providing a luxurious and comfortable living for students, but it’s also a great potential investment for entrepreneurs, OFWs and basically for everyone looking for additional source of funds. The advantages and benefits that you can reap outweighs its monetary value. 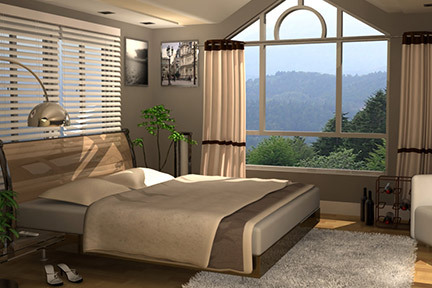 One of the best features of investing in a condormitel is that it is leased on a bed per bed basis. Each fully furnished unit consists of 3 – 4 beds, and you will be paid by each bed spacer separately. To simply put, earning is made easier in this kind of set-up. What’s more good about investing in condormitel is that all you have to do is pay the price, and everything else including the search for renters will be handled and managed by your real estate agent. Next thing you know is that you are already starting to accumulate wealth 24/7. An investor in a condormitel is called a condopreneur. New to your ears right? Wouldn’t it be nice if you’d be pioneering this newly coined term? It’s not just the name you’d carry but the opportunity and privilege of being part of a stable investment weighs more than anything else. Start building your wealth by making wise and informed decisions. Your choices will determine what the future holds for you and your family. Better act now, than regret later. Putting your money in condormitels is the safest and surest way to increase your savings and does not demand for additional time and effort. If you’re on the lookout for an affordable condo in Manila, here are the 3 major things to consider to get the most value for your money. When buying a condo, location should be your top priority. It’s best if your condo is located within the main thoroughfare and is easily accessible. Moreover, it should be near malls, drugstores and supermarkets so you wouldn’t have to go far to fulfill your basic necessities. Knock on the wall and see if the division of your unit is cement or wood. If it is wood, check for the thickness of the wood. Usually, the louder the noise the wood produces, the thinner it is. So watch out. Also, make sure to look through the cabinets of the unit. It is the most basic composition of the condo, so if the developer fails to deliver good quality cabinets, it is more likely that the condo’s quality as a whole is so-so. If you’re investing in a condo for rental yields, choose condo near schools since there is a constant demand for space among students. Condormitels— a coined term for condominium, dormitory and hotel in one—have been popular for offering affordable yet quality living among students. The way this works is kind of unique. Every condormitel unit is fully-furnished complete with beds, appliances and cabinets. It can have 4 occupants per unit, each paying separately. Since it is targeting students in Manila, the way it is constructed is very reasonable. As for the investors, your income can grow faster with 4 tenants paying you monthly per unit. There are just so many things to take into account before buying that affordable condo you’d just seen around Manila. But make sure that you have assessed your needs and see that whatever the condo is offering fits yours. Owning a Condo or Apartment: What’s More Affordable in the Long Run? 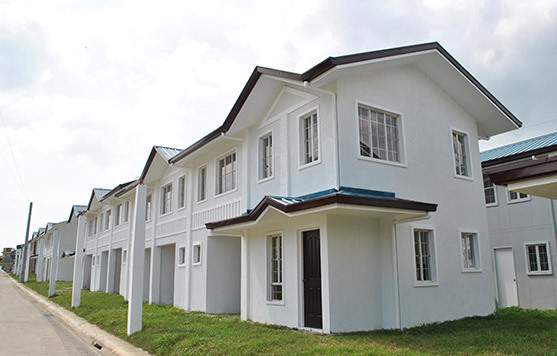 Space rental is part of Filipino home living especially to those who are living in the urban community. For families who have transferred in the city, apartments and affordable condos are readily available across Manila. Today, we cannot deny the fact that space rental is a mainstay in the Filipino budget and expenses. For middle income families, it’s quite difficult to accept the reality that most of their monthly income goes to home rental. This is why many Filipinos aspire to save and invest for their dream houses especially those working abroad and those with stable and high paying job in the Philippines. If you’re a practical and intelligent tenant, you will not always rely on home rental since it will eventually consume all the money which you are suppose to save or invest on other important things. In this article, we will weigh which between condominiums and apartments will be more affordable in the long run. When selecting between these two, potential homebuyers should distinguish them clearly. According to real estate experts, the essential difference of a condo and an apartment is ownership. Basically, apartments are leased for a pre-designed period of time as compared to condos which are owned by individuals who either live in them or rent them out to others. Speaking of ownership, a typical apartment is usually owned by one or more people that rent out their individual units for additional income. This means that apartment renters are usually not allowed to alter the interior or exterior parts of the space without any permission of the owner. Meanwhile, condominiums are usually owned by single person, giving him / her the right to redesign their units based on what they like. What’s also good is that condo owners also pay homeowner association fees to collectively share the costs of maintaining the joined living structures. Basing on these comparisons alone, we can somehow depict that condominiums are giving a typical tenant or home investor the freedom to own them or either rent them out to others. On the other hand, apartments have regular maintenance. For example, something breaks in your apartment, all you have to do is simply call the apartment owner to look at it and shoulder majority of the money for the apartment maintenance. If you will try to analyze, both can be an additional source of income for overseas Filipino workers. Aside from this, owning an apartment or condominium can be both beneficial in the long run. When talking about real estate investments such as these, it is best to consult a broker, an agent or an expert in land development property. In this case, you will be equipped with proper guidance. You should also think of the pros and cons of these investments before you decide to give it a go. 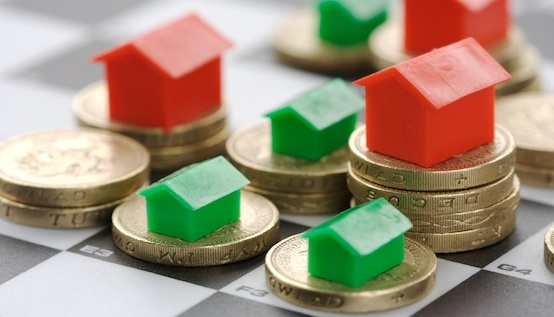 Thinking of where to invest your hard earned money? You have the option to either start your own business, venture on stocks or invest on real estate. A good entrepreneur knows when to and when not to take risks. At the same time, they also have the ability to foresee future opportunities and are able to make concrete plans on how they can benefit from it. Amongst the steadiest investment one can rely on is real estate. Start scouting for affordable condos in Manila, like those near university area, as they have the biggest potential on the market today. Early investment increases your profit in the long run. Want to know how you can benefit more from this industry? Check this list! Real estate can be a source of steady monthly cash flow. After paying all the mandated monthly dues, what’s left is considered your income. Compared to other businesses, it may not provide a one time big earning, but would nevertheless provide extra cash. The great thing about it is you are earning basically by doing nothing. Continuous cash flow can be assured even if real estate looks bad in the market for some months. It can bounce back, even higher than before, with careful decision-making. Real estate creates endless opportunities for investors, which they can benefit or use for their retirement. The price of real estate may not increase gradually, but its value appreciates over time. Real estate investment is a long term investment that its benefits will be realized in the near future. Take note that appreciation or increase in value is still dependent on varying factors like location. Banks grant loans faster especially when the money will be used in real estate investment. The logic is that banks know how safe and profitable real estate investment is. Loan a huge amount, but invest only a part of it, and still be able to meet its monthly payables. Cash payments from your renters will go straight to your pocket without paying taxes. Those tax free profits can be used to invest on other businesses or buy a couple more real estate properties like condos, and increase your cash flow. The basis of your choice should be stability. Always set your mind on long term goals, instead of short term. Treat investment like a time deposit that you can count on after retirement or any time in the future.